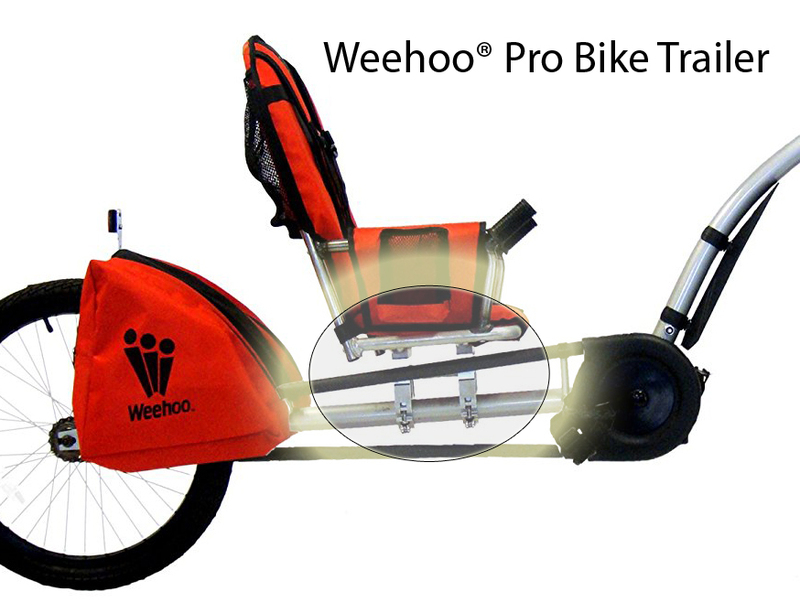 IDENTIFYING WHICH WEEHOO® BIKE TRAILER MODEL YOU HAVE IS EASY. THREE MODELS HAVE BEEN PRODUCED SINCE WE STARTED IN 2009: THE CLASSIC, PRO, AND TURBO MODELS. EACH OF THESE MODELS CAME IN SINGLE PASSENGER, TWO PASSENGER AND A VENTURE MODEL WITH EXTRA STORAGE CAPACITY. OF COURSE SERIAL NUMBERS ARE ONE WAY TO IDENTIFY YOUR TRAILER, BUT HERE IS AN EASIER WAY. BY LOOKING AT THE DESIGN OF YOUR SEAT BASE, WHERE YOU SEAT CONNECTS TO THE FRAME, YOU CAN IDENTIFY WHICH MODEL YOU OWN.